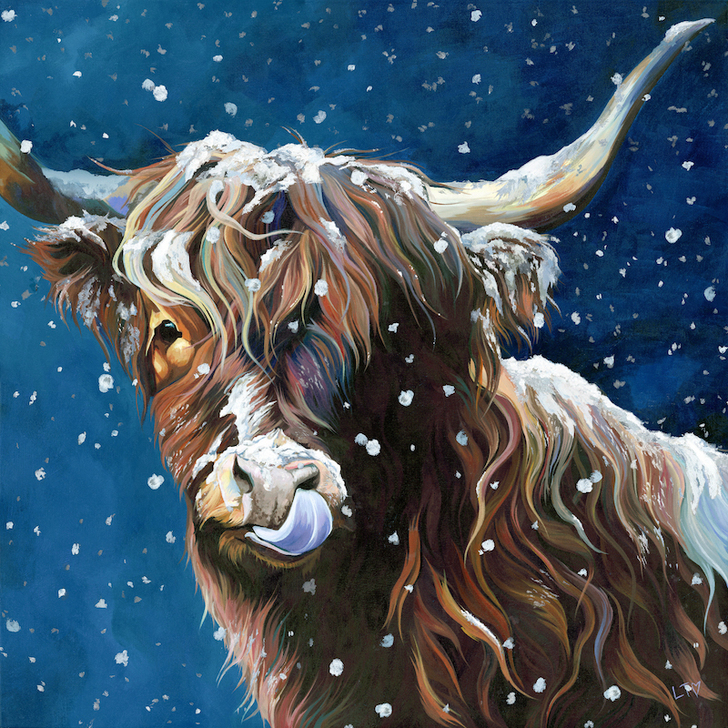 This Highland Cow licking snow from her nose can't help but make you smile. I mean just look at that cheeky face. 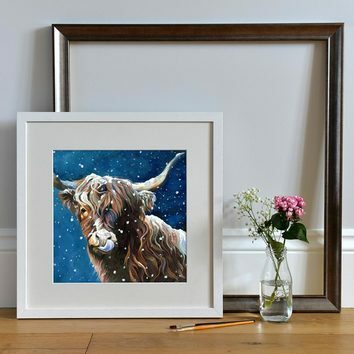 The perfect cow painting for the wall be it winter or summer! You may be thinking- she looks familiar? You'd be right, under all that snow is the lovely Lizzie. It was always my intention for her to be a snowy picture. 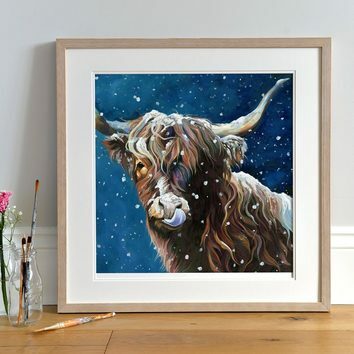 I painted the Cow first and loved the painting so much I just couldn't come to put snow on her. However thanks to the wonders of modern technology I still managed to create my winter wonderland fantasy also and I am so glad that I did! Also Available as a Christmas Card! Please note all prints (mounted and unmounted) are sold unframed. Frames shown are for illustrative purposes only.